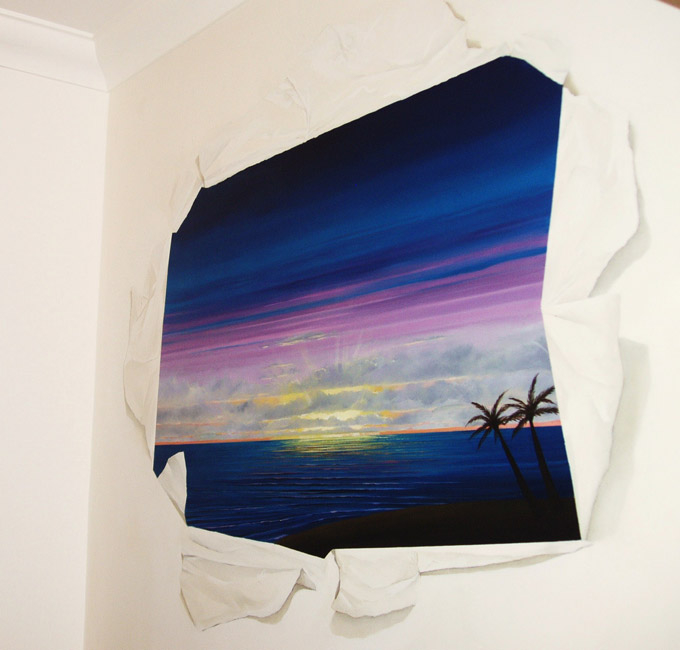 This wacky trompe l’oeil mural was painted in a downstairs cloak room. 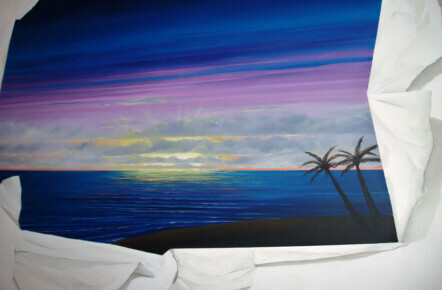 The clients wanted something whimsical and fun that reminded them of their honeymoon in the Seychelles. 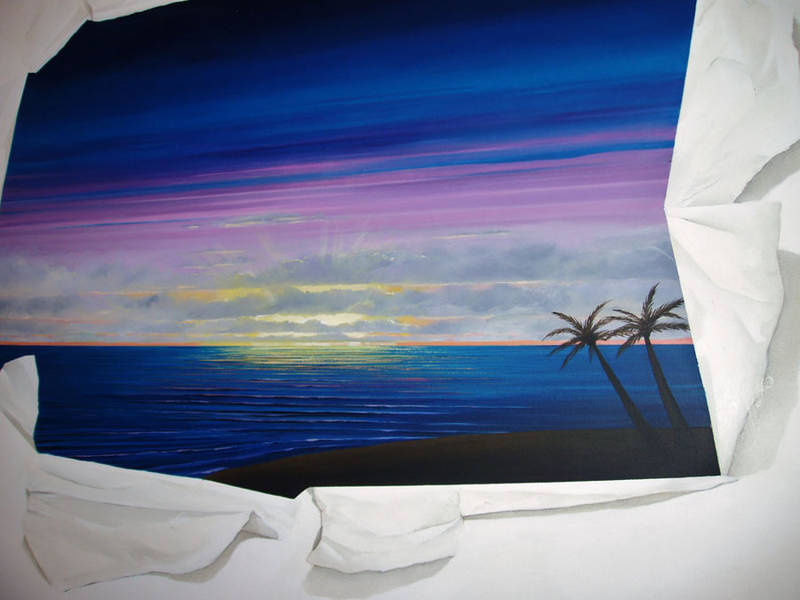 With this in mind I came up with the idea of painting one of their favourite views at sunset, adding a little twist with the 3D illusion of the paper. It all worked brilliantly and looked so realistic people were actually reaching out to touch it!